METABOLIC SYNDROME is also known as SYNDROME X. People and some doctors, can confuse metabolic syndrome with any number of metabolic disorders - even Down Syndrome is considered a metabolic disorder. Syndrome X certainly labels the condition in a way that is unique and prevents confusion, but Syndrome X, as a name, just doesn't sound like a real name and tends to make one think the doctor using the label " Syndrome X " is a bit incompetent. For simplicity and clarity, the term metabolic syndrome X appears sufficient and removes the ambiguity. 1... Definition and Symptoms OF Metabolic Syndrome X. 2... Associated medical problems of Metabolic Syndrome X such as Insulin Resistance, Diabetes and Cardiovascular Risk. 3... Reversing / Curing Metabolic Syndrome X using Weight Loss and Diet - the only real way of controlling it, provided you have not left it too late to be treated. 4... Interesting information on Metabolic Syndrome X, such as your grandmother's diet! 1a... METABOLIC SYNDROME X FREQUENCY: About one person in every four, in western countries, such as the USA, comes down with it. 1b... WHAT IS METABOLIC SYNDROME X? Metabolic Syndrome X is a set of slight metabolic imbalances. Each of the metabolic imbalances in Metabolic Syndrome X tend to have no obvious effect on the person. In fact, the person is normally unaware of having the condition. 1c... WHAT DOES METABOLIC SYNDROME X DO? What does Metabolic Syndrome X cause? What are the effects of Metabolic Syndrome X? Over time, normally years, the metabolic imbalances give rise to a greater risk of cardiovascular disease, heart disease, kidney failure, type 11 diabetes and so on. In fact, the cardiovascular coronary risk from Metabolic Syndrome X is as great as that caused by smoking! ..... According to my specialist, a strong Metabolic Syndrome X symptom is hyperinsulinemia. That is, high insulin in the blood. 2a... WEIGHT LOSS, as you are most likely overweight. See our section on FAST WEIGHT LOSS for some very helpful ideas. For some people, just losing 4kg (about 9lb) of body fat may make all the difference. Please note that, according to my specialist, once you have Metabolic Syndrome X, the ideal waste size for a women becomes 30 inches, and for a man with Metabolic Syndrome X the waste size is 36 inches. 2b... EXERCISE. This should be a graded exercise program. The goal is to be doing eventually 30 minutes of exercise a day. 2c... DIET. An insulin aware diet, as he believes hyperinsulinemia is the most destructive Metabolic Syndrome X symptom. So, sugary foods are out, as are sugary soft drinks - the amount of carbohydrates (MAINLY SUGAR) needs to reduced. 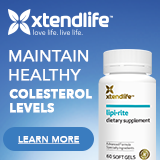 If you check out our other pages, you may find our cholesterol and weight loss pages of immense value. 2d... Goes without saying. Please check with your doctor about any information on our website, before acting it! 3a... EXCESS INSULIN prevents much of the blood sugar from entering the cells to be used as energy: The cell membrane has many entry points for blood sugar to enter it to fuel the cell. Insulin is like a fuel plug, it blocks an entrance to the cell preventing blood sugar entering at that door. When insulin levels are high, the cell has a very hard time getting any of the blood sugar, as most of it's entrances are plugged by the insulin. So you then may start feeling tired after eating a meal - your body is working hard and using energy to digest the food, but the body cells are being denied the energy they need. Hence you can feel tired. This is a classic symptom of those with Metabolic Syndrome, even though it is not part of the official diagnosis protocal. 3b... When the BLOOD SUGAR cannot enter the cells to be burned up as energy, the liver converts it to body fat! 3c... Believe it or not, YOUR GRANDMOTHER'S MALNOURISHMENT MAY BE THE CAUSE of your Metabolic Syndrome X, or at least your insulin problem if you have one. Interesting research has shown that when a grandmother is poorly nourished during the pregnancy, then her female grandchildren are more at risk of developing insulin problems. If the grandmother is malnourished during the breast feeding stage, then her male grandchildren are more likely to develop insulin problems.